Are you passionate about studying art at university? Interested in comparing artistic movements from different historic periods and cultures? Or perhaps you’re a budding artist yourself, keen to develop your own skills and artistic vision under the guidance of expert teachers. Click on the tabs below to find out more about art degree courses, specializations and careers. The structure of your course will depend on the type of art degree you are studying. For example, history of art degrees are likely to be much more essay-based than fine arts degrees, which are likely to be of a practical nature and perhaps taught in studios or workshops. Fine arts degrees are also more likely to conclude with assessment via a project or portfolio of work which may be exhibited to the public, although some courses have the traditional dissertation or supervised research project which is more commonly encountered on history of art degrees. The length of your art degree will also vary depending on the country you choose to study in. For example, most undergraduate courses in the UK last three years, while in the US four years is the norm. 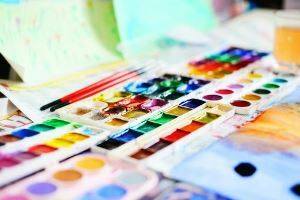 The requirements for admission to an art course will again vary between countries and institutions. Some art schools prefer applicants to demonstrate evidence of having studied art at an earlier stage of education, and some fine arts degrees will ask to see a portfolio of work. In all cases, you’ll need to be able to demonstrate a keen interest and passion for the subject, as well as explaining why you’ve chosen the specific course in question. Art degrees can largely be divided into two categories, history of art and fine art, with many further specializations available in each field. Some universities (particularly those which are dedicated to arts and humanities courses) also offer programs combining history of art and fine arts, which may suit you if you have an equal interest in both approaches to the subject. A vast array of highly specialized arts courses, such as contemporary jewelry design or printmaking, can be found at specialist arts colleges. 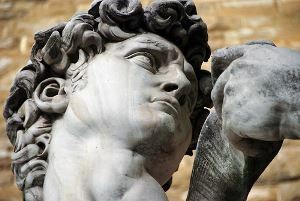 Among the more traditional and academically established arts courses offered by universities, history of art degrees explore artworks from a range of different cultures and historical periods, training students to analyze artefacts in terms of their relationship to artistic movements, social context and historic importance. This could mean ‘artworks’ in the most traditional sense – paintings on display in a gallery – but also a much broader approach to what constitutes art, from architecture to cartoons. If history of art degrees are about analyzing artworks, then fine arts degrees are about creating them. 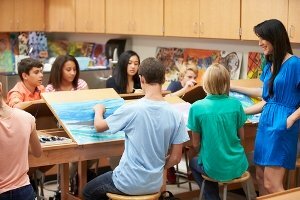 Fine art programs typically combine a mixture of theoretical and practical course elements to nurture students in developing their own artistic work. Usually fine art students specialize in one or several media, such as painting, sculpture, photography, film, animation, illustration, printmaking or ceramics. In addition, it’s possible to find entire degree courses specializing in each of the media mentioned above – and many more besides. For instance, you could take a degree specializing in comic art, or in community arts practice. It’s also possible to choose an art degree which focuses on artistic heritage and styles in a particular region or culture – such as Asian art or European art. Closely related to fine art, design degrees encompass subjects such as fashion, textile design, graphic design, interior design, advertising design, product design and architecture. You may choose to study an entire degree course specializing in one area of design, such as a BA in Graphic Design, or you may enroll in a more general design course and gradually define your specializations. In either case, you should gain a strong set of technical knowledge and practical skills, building up your understanding of how best to apply design principles to different types of brief. In addition to the more traditional pathways, a range of much younger art courses have sprung up in recent years, in response to the transforming impact of new technologies on all areas of society, and high demand for new types of artistic creativity are high in demand. There are now degrees dedicated to the digital arts in areas such as photography, illustration, animation and computer arts. 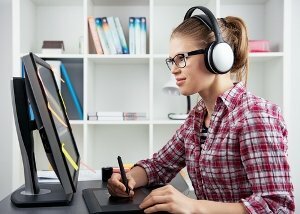 If you would like to pursue a career in one of these areas, for example in designing websites or animating computer games, then a digital arts degree could be for you. As with most arts and humanities subjects, careers in art are wide and varied. Not all graduates of arts degrees go on to roles that are obviously related to what they’ve studied, instead entering one of the many graduate jobs that are open to students from multiple academic backgrounds. The skills you’ve acquired from your degree should be useful in many industries, such as media, marketing, public relations and even accounting. 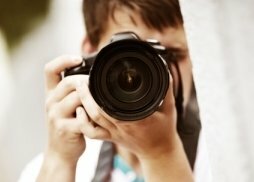 However, if you would like a career that is highly relevant to your degree or perhaps relates to a specialization (for example, if you studied photography, it’s highly likely you want to be a photographer! ), then it is often essential or highly beneficial to compile a portfolio of work to show prospective employers in your chosen field, including some of your own original ideas as well as coursework. 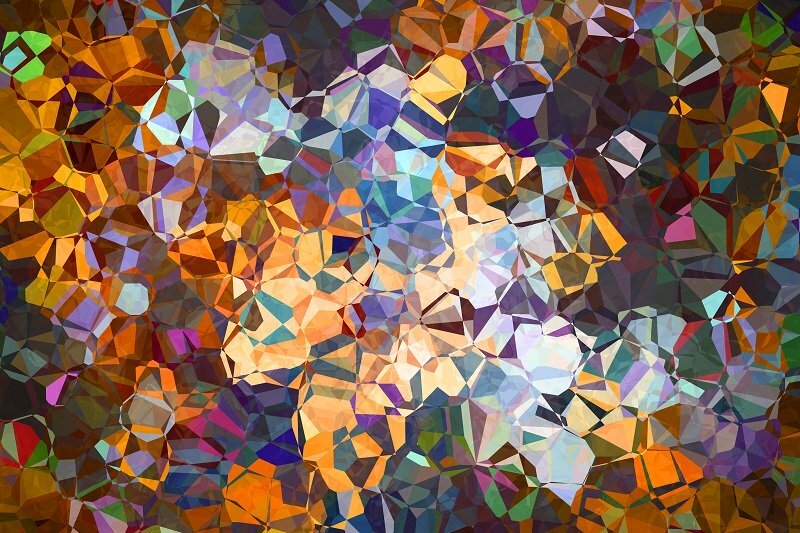 The theoretical side of your degree should allow you to put this work into context, explaining your influences, the thought behind your choice of themes and why you used certain materials and techniques. Although this is a highly competitive field, there is no reason why you cannot pursue a career as a professional artist if you have talent and dedication. You will also need plenty of self-belief, stamina and the ability to promote yourself. Relevant work experience in the creative sector, such as working as a studio assistant, would be useful, and you should be resourceful in finding new and interesting places to showcase and sell your work to get yourself known. Some fine artists also decide to continue developing their work alongside work in a relevant full- or part-time job, such as that of an art teacher/tutor. This career might particularly suit you if you have studied art history and gained an appreciation for heritage sites, as heritage managers conserve, manage, and develop access to sites such as historic buildings, landscapes, museums and ancient monuments. You would need to use your critical thinking and problem-solving skills to balance the conservation of the structure and character of a building with the need to generate an income. Relevant paid or unpaid work experience is likely to be essential for entry into this role, so you may wish to increase your chances by working during the breaks of your art degree course. If you wish to use your passion for art to motivate and inspire young people and encourage the development of budding talents, a career as an art teacher could be highly rewarding. In most countries, you will need a teaching qualification to teach at primary/secondary level, and a postgraduate degree to teach at university level. You should also have lots of confidence and excellent communication and presentation skills, in order to effectively teach and inspire your students. 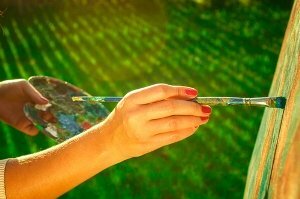 You may also choose to offer private art tuition to individuals or small groups, or specialize in an area such as art therapy. Careers in arts administration typically focus on planning and organizing arts activities and ensuring they are successful. If you’re passionate about the arts and enjoy managing and organizing, this career could be for you, enabling you to gain new perspectives on art and its various community and social roles. You will need strong administration and computer skills for this role. An animator produces multiple images called frames, which when sequenced together create an illusion of movement known as animation. Animators work in various roles, including helping to create the visual effects for movies. This is another competitive area and in this case, your portfolio would be in the form of a short yet effective showreel – a DVD or online portfolio video. To enhance your employability, a postgraduate specialization in animation would be beneficial, but this is not usually essential. To become an animator you need to have both strong creative talents and technical skills, with a good eye for detail.